Despite a glut in U.S. retail space, some developers are building more, just not in the form of malls but alongside new homes in smaller chunks than before. The target clientele: younger and even some older Americans who are looking for cheaper housing in the suburbs but favor areas with urban trappings such as restaurants, offices and shops. 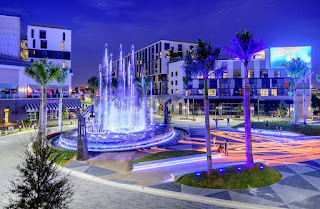 These projects, often joint ventures between a housing developer and a developer with retail expertise, are sprouting up around the U.S., especially in Florida, Massachusetts and Arizona. The focus is on a design that is pedestrian-centric, where residents would have to walk only short distances to get to the grocery store, shops or the gym. “The single biggest change is walkability,” said Steve Patterson, chief executive of Miami-based developer Related Development LLC. Close proximity to schools, transportation and shops is important even for suburban projects, he said, as the love for cars dissipates a bit. 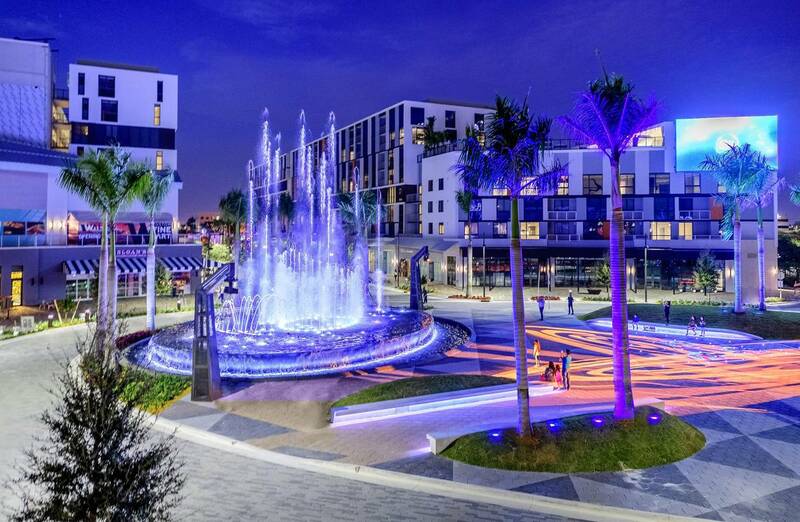 Early this year, Related Development opened a mixed-use project in Doral, Fla., that included 250,000 square feet of retail space and 700 residences. In Fort Worth, Texas, residents at the RiverVue Apartments, a new 375-multifamily-unit rental complex, need only a minute to walk to a Whole Foods in the next building. Other shops and restaurants such as REI, Sur La Table, Piattello Italian Kitchen and Taco Diner are also within walking distance. RiverVue, which began leasing earlier this year, is 70%-leased and 60%-occupied. “While we targeted 25-35-year-old professionals, there were also a number of baby boomers who sold their homes to move here to try a different lifestyle,” Mr. Culwell said. Some retail property owners are constructing residential units or offices in or next to their enclosed malls or open-air shopping centers, or in some cases on top of street-fronting retail stores. Along with additions such as medical offices and hotels, a built-in shopper base helps support foot traffic to the stores and restaurants. Office workers and out-of-town hotel guests might also find it convenient to have food and entertainment options nearby. Federal Realty Investment Trust , a shopping center REIT known for building and operating mixed-use projects in the first ring of suburbs around urban cores in Maryland, California and Massachusetts, said it takes years to build expertise in developing such projects. Fundamental decisions include where to place car parking and office space in relation to retail—for instance, you want fewer cars to interrupt the walk to the shopping area. In addition, there are mundane operational items to consider such as where trash is dropped off and when to operate leaf blowers. In San Jose, Calif., the real-estate investment trust is still working on Santana Row, a popular 1.7 million-square-foot project it acquired in 1997. To expand on the existing rental homes, condos, office space, shops and a boutique hotel, Federal Realty is building another office building with ground floor retail that will be ready around early 2019. Alex Lagemann, who moved into a one-bedroom apartment at Santana Row a year ago, said the luxury of walking to work—his office in the same mixed-use project—is a big draw despite the hefty rent. “You can work deep into the night without thinking you have this looming drive ahead of you,” said the 28-year-old.